Some residents of Illinois and Texas are angry that they can’t easily determine which work of art looks 42 percent like them while allowing Google to capture their biometric souls. The Google Art & Culture app has been out for about a year and a half, but it recently hit the top of the Android and iPhone download charts because of the popularity of a new feature that uses machine learning to match selfies with portraits from more than 1,200 museums. The app has raised privacy concerns about what Google is doing with the data. Though, to be fair, there’s no proof that Google is keeping biometric data or stealing souls. A Google spokesperson told The Washington Post that the feature does not keep photos after they are used to determine a fine-art doppelgänger and that it is not a scheme to create a database or train machine-learning programs. But regardless of what Google is doing with the face photos, some people are prevented from participating in the digital Dorian Grey exercise. The app feature isn’t available in every US state, and that’s probably because of policies that are meant to protect their residents from handing over personal data for the sake of amusement and convenience. As Chicago Tribune and Houston Chronicle have pointed out, both Illinois and Texas have laws that block the collection of biometrics—like finger, retina, and face scans—for unclear purposes. Illinois lawmakers have been especially bullish in recent years with regards to privacy laws concerning geolocation tracking and biometric identifiers. The state’s Biometric Information Privacy Act requires that a company must inform people how it plans to use biometric data and how long it plans to store the data, and it must get consent in writing before collecting biometric data. 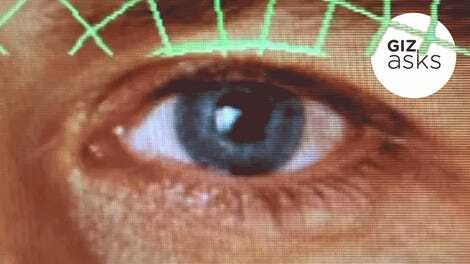 Texas’s less-strict law on biometrics does not require written consent. Earlier this year, Washington became the third state to enact biometrics laws, but Gizmodo found that users in the state can access the art-selfie feature. As the Chicago Tribune notes, Nest, the smart-home tech company owned by Alphabet, Google’s parent company, makes a doorbell that uses facial recognition. But that feature is not available in units sold in Illinois thanks to the biometrics law. Christopher Dore—a partner at Edelson, a Chicago law firm that is representing people suing Facebook for collecting their biometic data—told the outlet that Google is “being overly cautious” in its decision to keep the art-selfie feature out of Illinois. 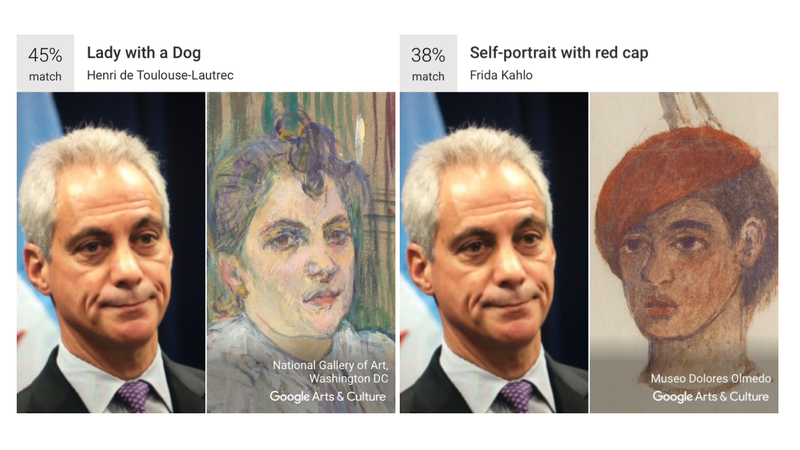 Google Arts & Culture tweeted that it is trying to expand the “mobile experiment,” but in the meantime, Illinois residents will just have to find their painted look-alike IRL. Correction: The previous headline of this post incorrectly stated that users in Illinois and Texas could not “get that Google art-selfie app.” While the Google Art & Culture app is available for download in those states, the art-selfie feature is not accessible to Illinois and Texas. We regret the error.